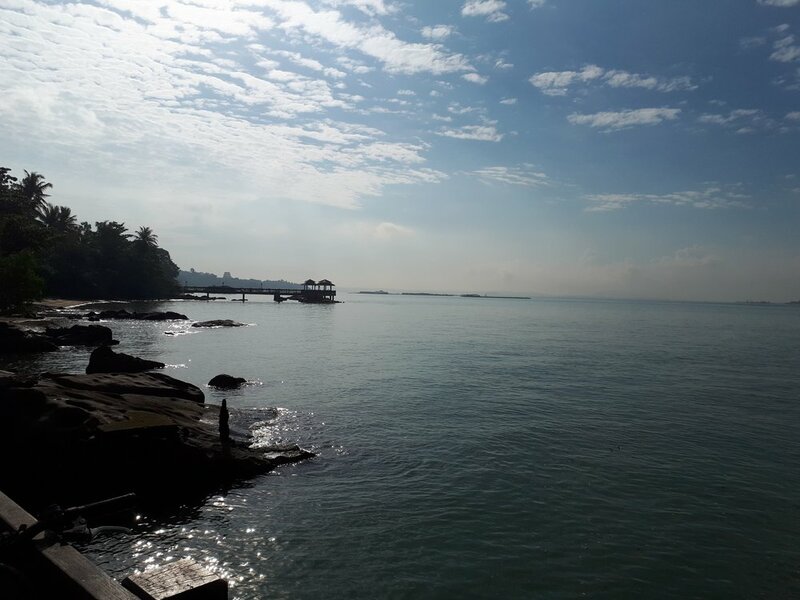 Back in June I attended the World Seagrass Conference and International Seagrass Biology Workshops in Singapore. This was the first international conference I’d presented at, and a bit of a dream for a long-time seagrass nerd like me. I met seagrass scientists from all over the world, including many that I’d followed and admired for some time. It was great to learn about the studies being carried out on all aspects of seagrass science from across the globe, and to share my own research. Hearing from so many passionate scientists talk about their research and stories of optimism, from recovery to restoration to citizen science, was really inspiring. This was my first international conference presentation so it was a bit daunting, but I was so interested in all the talks that came before me in my session, that I didn’t have time to worry too much about my own talk! It was a great opportunity to share some of my preliminary findings in a session with other scientists in the same research area and to compare the patterns I’m seeing with other locations and different types of herbivore. You can see my talk below, I’m still analysing the data so can’t refer you to a paper on this research yet, but this paper I published earlier in the year sets out a lot of the background information (https://doi.org/10.3389/fpls.2018.00127). While we were in Singapore, we had the opportunity to visit some of the sights and we had a conference field trip. 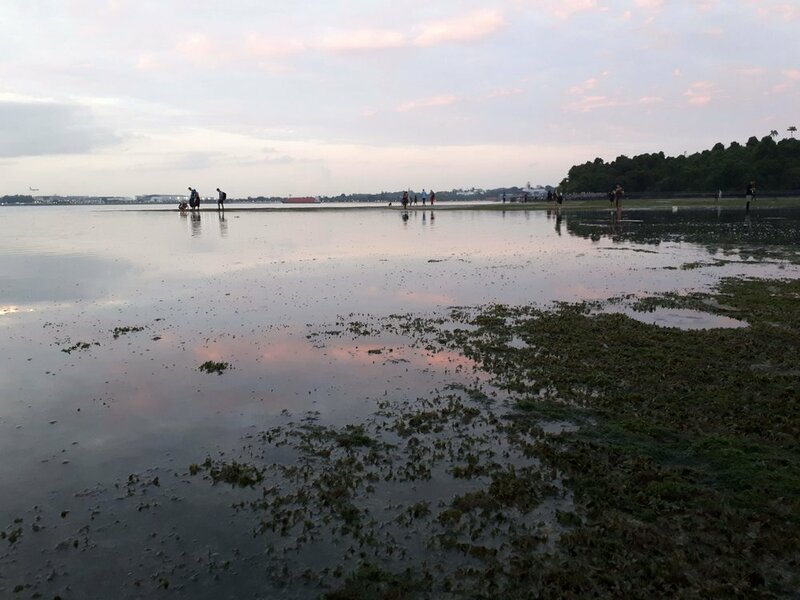 I chose to visit the Chek Jawa wetlands, we arrived at the wetlands before the sun was up to catch the low tide, and explored the seagrass meadow by torchlight. There was an amazing diversity of life to be found on the meadow, from sea stars, to horseshoe crabs to anemones and hermit crabs, I could go on - there was so much to see! We finished the visit with a mangrove boardwalk and a viewing platform over the wetlands, which provided a new experience for me - a Macaque in the mangroves. Not something you see in an Australian mangrove system! Thanks to the organisers of the conference for doing such a great job, and to the seagrass community for being so welcoming. #teamseagrass rocks! If you want to see the rest of the talks from the conference then check out the ISBW youtube channel, there’s some really great research being discussed!